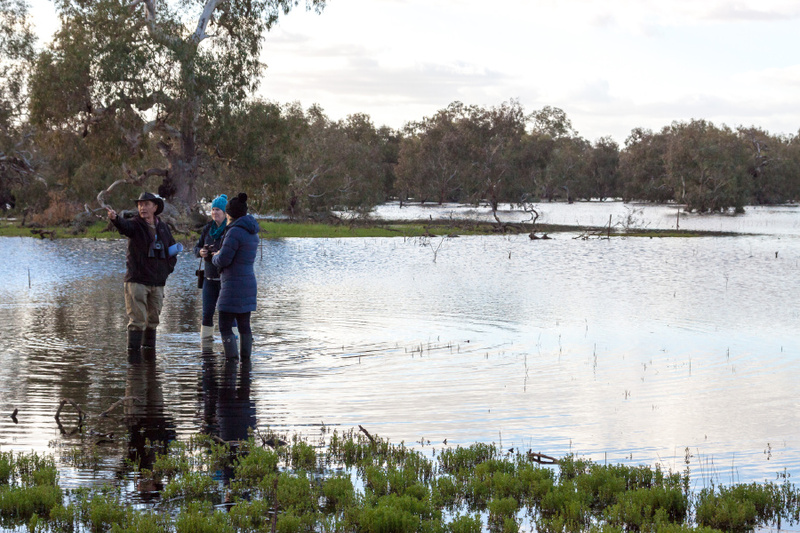 The Waterway Management Twinning Program is a structured mentoring program, focusing on improving the on-ground delivery of current Victorian riparian restoration projects. Victoria has Catchment Management Authorities (CMAs), industry, non-government and community groups independently developing and delivering different approaches for similar riparian restoration outcomes. This Program provides an opportunity for the most effective approaches to be shared and adopted between all those working in waterway management across the State. build capacity and confidence in people working in waterway management across a range of disciplines, from on-ground river restoration to evaluation to community engagement. connect and create networks that will sustain people in the long-term so that they continue to get support and assistance from the people they meet through the program. foster supportive behaviours within organisations so that mentoring becomes a part of workplace professional and personal development. We believe that effectively delivering these three objectives will contribute to improved waterway management in Victoria. The nature of the mentor/mentee partnership and the work they do will vary, however, each partnerships centres around a specific project of the mentee. This ensures the program has tangible outcomes for Victorian river health projects. In addition, professional development activities which improve the mentee’s capacity to ultimately deliver river health outcomes are encouraged. For fee-paying positions, each mentee organisation contributes $6000 to participate in the program. This fee will contribute to workshop related travel and accommodation costs for that mentee and their mentor. In addition, a proportion will be available to support the partnership, for example, visits to each other’s regions. Some of the funds will also be available to the mentee to spend on activities that have specifically arisen out of the mentoring relationship. The mentor’s contribution to the partnership is their time. Time to develop a meaningful relationship and contribution to their mentee’s project and professional development, as well as attending all three of the Program’s workshop over the course of the year. The Program will be run over nine months with three whole-of-group sessions (March, June and October), as well as ongoing contact and assistance being provided through phone calls, emails and a Yammer group. We will also use ‘Yammer’ an online communication platform that will enable each partnership to stay in touch with each other, as well as the wider group. Mentors and mentees meet face-to-face and formalise their relationship by completing a mentoring agreement. Mentors and mentees continue to meet and work together on their mutual learning journey. Midway through the mentoring time frame, both parties review their progress and satisfaction. Concluding evaluation and end of formal relationship. The aim of the initial session is for participants to get to know each other by focusing on projects, skills, knowledge and networks. Mentoring will only work if the people involved respect and trust each other, so taking time to build this is essential. Each participant presents their waterway project, with mentees outlining their mentoring issue and talking about why they would like to work with their mentor. This session is run with plenty of discussion time so that the wider group can also input ideas around the project. In addition to the project overviews, are personal and professional development sessions covering topics like: what gives us purpose? why is river restoration important? how can we communicate effectively? and what are the key elements of happiness and work satisfaction? These inside sessions are matched with field trips to see local waterway management in action, with plenty of opportunities for discussion and great conversations. Most importantly, the initial session sets the mood for the remainder of the program: that is one of openness, sharing, positivity, kindness and helpfulness. A key deliverable of the initial session is the mentoring agreement, developed by each mentoring partnership. This agreement sets out what each partnership hopes to achieve throughout the program, tasks that need to occur, how communication will be maintained, and planned expenditure of funds. This agreement is constantly referred to throughout the program and is a contract between the mentor and mentee to which they can be held accountable. A one-day interim forum is held mid-way through the Program. The aim of this meeting is to reconnect, review what has been achieved, and rebuild momentum for the remainder of the mentoring period. This session really focuses on steps two and three of the mentoring process. Within this session, each group presents on what has been achieved to date and reflects on their mentoring experience. It is an opportunity to reinvigorate the partnership and plan tasks and goals for the remaining mentoring period. This session is held in a regional location and our Alumni from 2016 and 2017 take responsibility for running a field trip, with opportunities provided for lots of discussion as well as insights from those that completed the course. The final session is an opportunity to reflect on what has been achieved and learnt, as well as celebrating project successes and networks created. Part of the final session is open to anyone interested, and we use it to acknowledge the effort made by our mentors and mentees, congratulate them on their achievements, share their results, and ignite interest in others wanting to get involved. We also welcome those who have completed the Program to the Waterway Management Twinning Program Alumni. why should i/we get involved? access to a new, strong and ongoing professional network built on an underlying willingness to help and share. Each Twinning partnership is required to report on their experience, outputs and the outcomes of the mentoring program at the end of the Program. Each pair presents a written (and optional video) account describing the outcomes of the Waterway Management Twinning Program, with regards to both professional development and the ongoing legacy of the Program on their river restoration approach. The Waterway Management Twinning Program will be collaboratively delivered by Glenelg Hopkins CMA (GHCMA) and the Australian River Restoration Centre (ARRC) and is overseen by a Steering Committee with reprsentatives from GHCMA, ARRC and DEWLP. Key individuals are Dr Adam Bester, Dr Jan Barton (GHCMA) and Dr Siwan Lovett (ARRC) who work together to develop and deliver the Program. 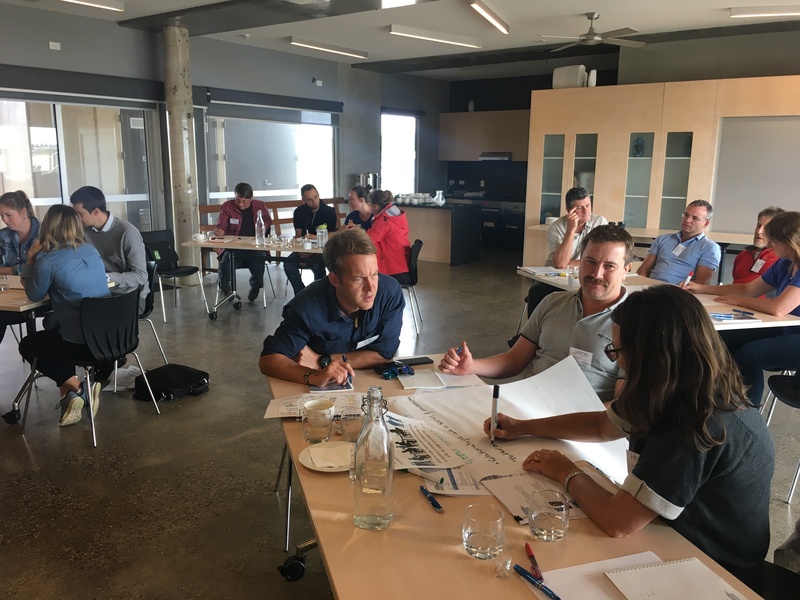 Both Adam Bester and Siwan Lovett bring skills in leadership and mentoring from the Peter Cullen Trust, of which Siwan is currently a facilitator with the Peter Cullen – Science to Policy Leadership Program and the Victorian Women in Water Leadership Program. The Twinning Program is based on industry-based mentoring principles and practices, with these tailored for the natural resources management sector. Fully funded scholarships are available for mentees from Landcare, Traditional Owner groups and the River Basin Management Society. Expressions of Interest are now open for the 2020 Program – please click here for more details and to apply.